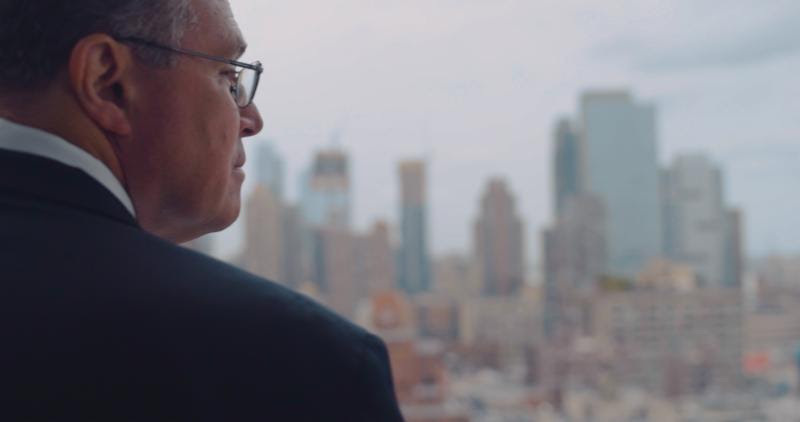 If you missed it, we shared the vision film from Dr. Derek Yach’s foundation launch yesterday at the Global Tobacco & Nicotine Forum in New York City. 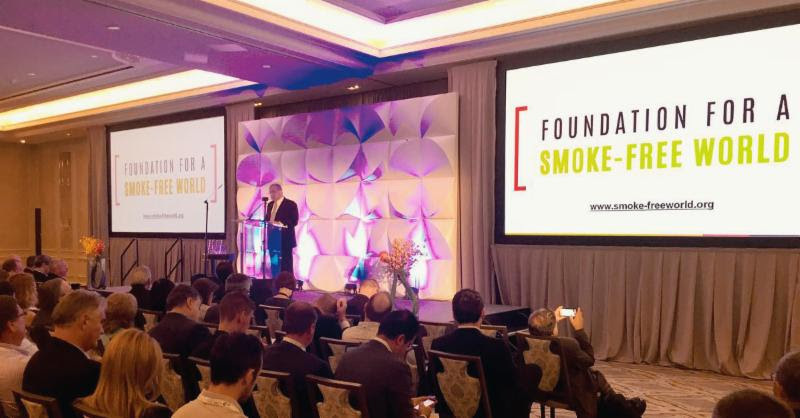 After a decade of health experts declaring that “we don’t know enough about vaping”, his independent foundation will support research about harm reduction solutions and assist in the move to a world where smokers who want to quit can choose safer alternatives. And…he’ll have a billion dollars to do it. Where did all that money come from? Several weeks ago, Dr. Yach asked me to help him create a video for the foundation’s website. The first big donation he got was from a surprising source, Philip Morris International (PMI). He knew from A Billion Lives that I wasn’t fond of the tobacco industry’s tactics in the past, so he wanted to make sure I was aware of PMI’s donation. Here was arguably one of the world’s leading anti-smoking crusaders accepting a donation from one of the world’s leading cigarette companies to help end the mainstream use of cigarettes. This made no sense. What’s the catch? Most folks would just say that potential for abuse exists and dismiss the foundation. That is the simple approach. 1) Cigarettes will be gone at some point from mainstream use. They kill or hurt most of their users. Thanks to initial efforts by innovators and small businesses around the world, there are dramatically safer and more enjoyable ways for addicted smokers to get nicotine (which science tells us is not very dangerous without the smoke). As governments ratchet up the pressure on people to quit smoking and safer smoke-free alternatives become more accessible, attractive, and cheaper, the decline becomes inevitable. While I don’t think smoking will ever go away, I do believe it will largely disappear from much of society in time. 2) Tobacco companies see the writing on the wall. Despite the pending demise of the combustible cigarette, the massive companies who make cigarettes would like to stay in business. Initially, tobacco companies were lobbying and doing shady things behind the scenes to kill off this new competition. That has largely failed. Thanks to folks like you, the information is out now and there’s no going back. Big tobacco folks have billions of dollars in cigarette profits to research next generation technologies and have developed a variety of alternatives including vapor tech, snus, and heat-not-burn devices. 3) The majority of people in the developed world would like to see big tobacco companies fail. It’s true. They have such a terrible track record and continue to market their deadly products around the world. They are also gigantic behemoths that have the power to do quite a bit of lobbying. Few (if any) people trust them. Most people would prefer that they would just go away. Shady politicians and corrupt anti-smoking people know this and have lumped alternatives to smoking in with “Big Tobacco” to demonize these life-saving alternatives and raise taxes on those who need our help most. The unethical lumping of combustible cigarettes with smoke-free alternative nicotine products has had the effect of supporting cigarette sales. In the meantime, the primary research being done about tobacco harm reduction products appears to be done with a goal of demonizing the products or preparing for lawsuits against the manufacturers. We covered this at length in the movie. 4) PMI’s current industry is doomed and their future industry is under attack. Most honest scientists know that vapor technology, snus, heat-not-burn, and other non-combustible nicotine products are much much much safer than smoking. PMI’s research, which is obviously well-funded, shows this. However, because of the tobacco industry’s terrible track record, this research is easily dismissed. Since anyone selling vapor products is also unfairly lumped into the “tobacco industry”, their research is also dismissed. That leaves the media, medical professionals, and the public with mainly the bias-driven research supported by the number one group that profits from cigarette sales, government organizations. That has led to a very slow acceptance rate of these better products amongst the public. 5) Dr. Yach decided that enough is enough with the terrible research. Derek was a star in our movie and continues to advocate for vapor tech, snus, heat-not-burn and other tobacco harm-reduction products. One of his main frustrations has been with the lack of solid research that could end the endless debates and finally help smokers make a healthier choice. With the FDA extending their deadline for prohibition for four more years to allow more research, he feels now is the time. 6) Dr. Yach found a source for funding his new research foundation. With FDA prohibition looming, new vapor tech bans in India, and other troubling developments, Dr. Yach has been on a mission to get the funding needed to support research centers around the world. If you make $17B a year in profit, have potentially market leading products for a smoke-less era, and your research is being ignored because nobody will validate it, throwing $80M a year for 12 years to a foundation that will speed up the transition to your new industry isn’t as crazy as it sounds. And so this is how Dr. Yach got the big initial donation that he hopes will turn the tide of BS science and give our elected leaders the truth. He’s going to get a lot of research done with that sort of money. Nobody will be able to say “we don’t know” anymore. PMI will not be the only donor. He will have other big donations coming from more traditional sources like the Gates Foundation or Bloomberg Charities, but decided to get going now despite the potential reputational risk he faces. After discussing it with our team, we decided to pitch in to help. We’ll be donating 40% of our VHX digital sales of A Billion Lives this month to support Derek’s research initiatives. We urge others to show similar support. We can’t let this chance to save so many lives become over simplified into “that’s a Big Tobacco funded foundation”. Derek is a man who has a great track record of doing the right thing. He has a stellar reputation. I’ve gotten to know him over the past couple years and I can’t think of many better people on this planet who can use this funding to do great things for our neighbors. PMI and any other tobacco companies will have no seat at the board and there will be very strict rules about maintaining independence. All research grant recipients will have the freedom to publish their findings and will have to make all data available for the public and other researchers to review. These are the recommendations of Dr. Yach’s peers who crafted up proposed rules for future research foundations that received funding from tobacco companies. Dr. Yach will be supporting research on any current or new form of harm reduction products. The focus is on improving lives, not any one particular type of product. Despite this uncomfortable situation, Dr. Yach has been getting support from some very high level science and policy leaders. That support will come out more in the coming weeks and months. His reputation and track record is giving these folks confidence in this foundation. We also applaud the bravery and are optimistic. We’ll let you know if anything changes, but for now don’t be afraid to support it. Fear of the unknown is what led to the current crisis we have. Let’s give this a chance, knowing that solid (expensive) research is vitally needed right now and a good guy is in charge of this foundation. If the foundation fails to be what it promises, then we can all call them names and dismiss their work.